I’ve had the goats shut off the Back Forty for their own safety for quite a while now. 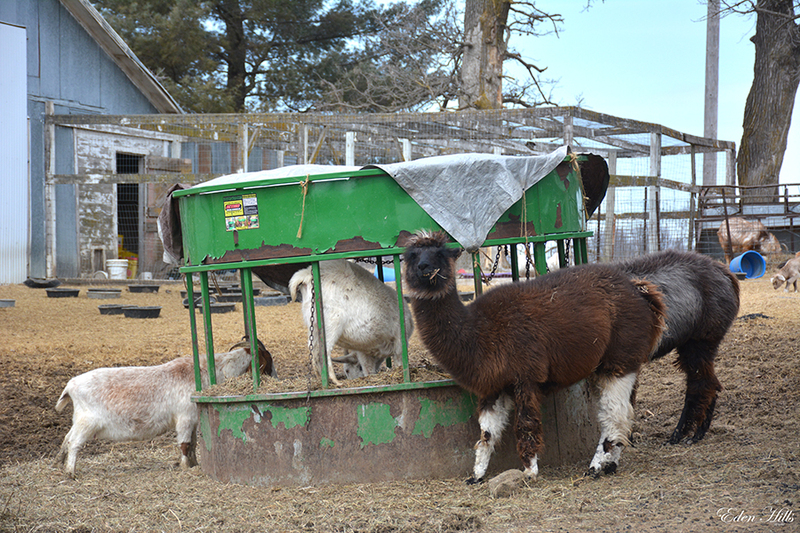 Odie has looked out there longingly a few times, but most everyone is content to stand in the barnyard and eat hay. 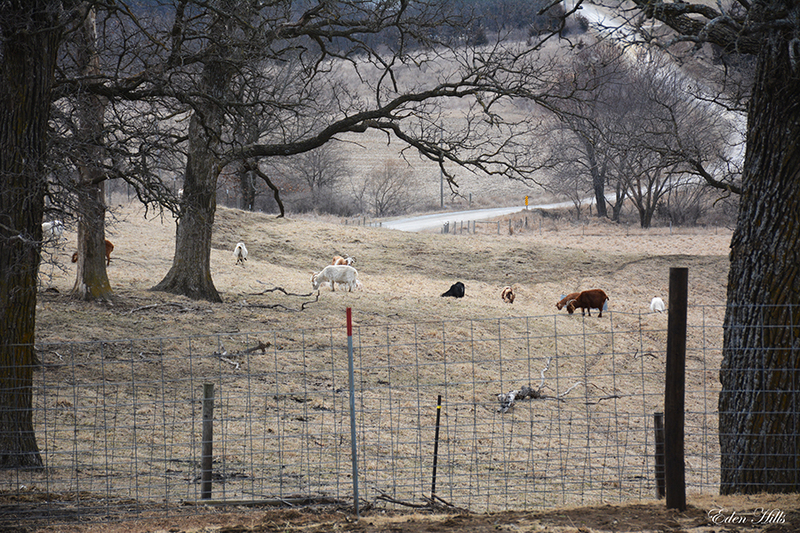 When the weather is okay, they’ve been going out on the smaller front pasture. 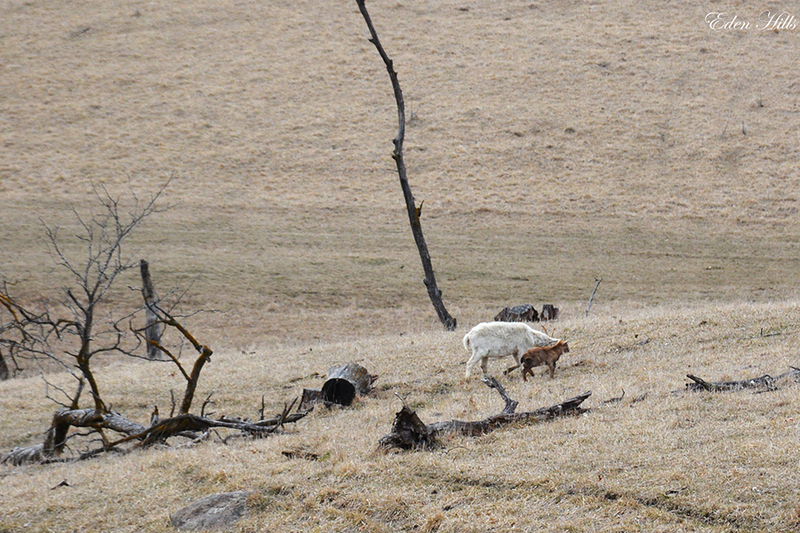 But one goat, Cutie Pie, has decided to go rogue. I assume it’s partly because everyone is mean and doesn’t make it easy for her to eat from the round bale. 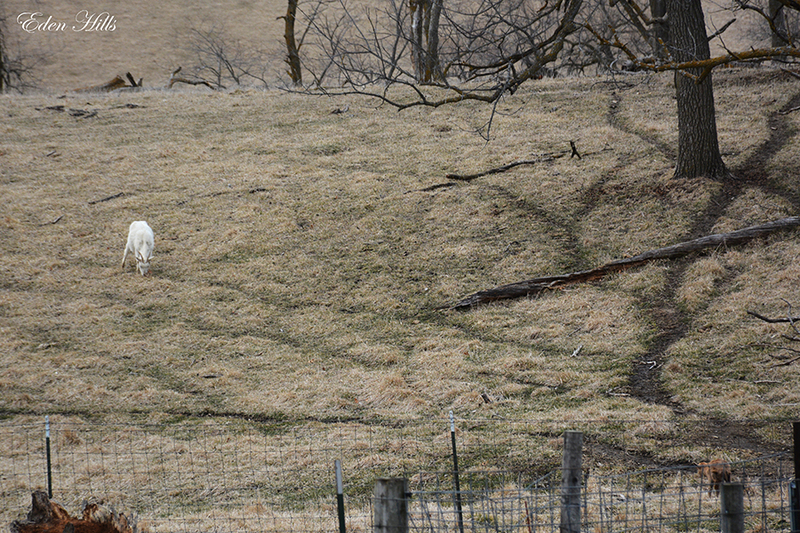 I guess she didn’t feel like the front pasture was meeting her needs. I don’t know. Cutie took her little girl with her. They should be safe since they are staying on this front hill. Although I think Aphrodite was ready to come back into the barnyard before her maa was ready to quit eating. She’s waiting for Cutie by the post in the bottom right corner in the image below. 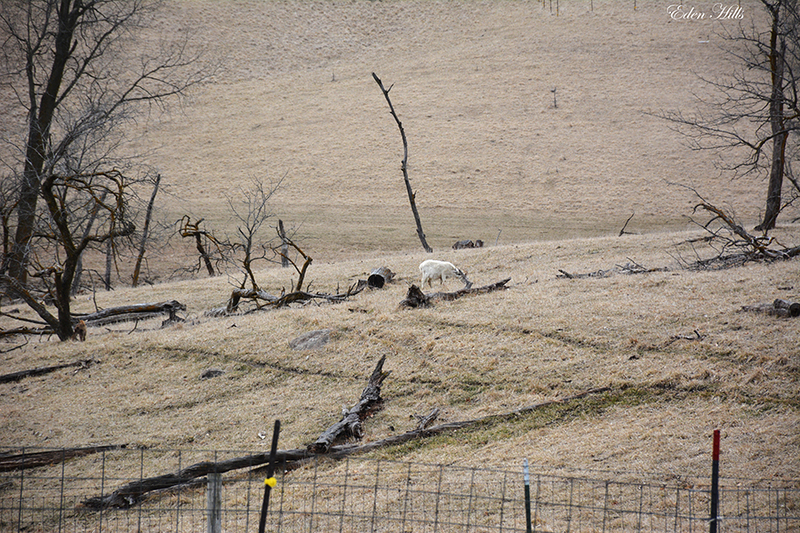 Hopefully, the weather changes and things settle down so we can build my fence and let them all out there.